Police officers like to be in the latest fashion trends, too! A buttoned-up, blue officer uniform dons a polished, black belt and distinguished, emblem hat. 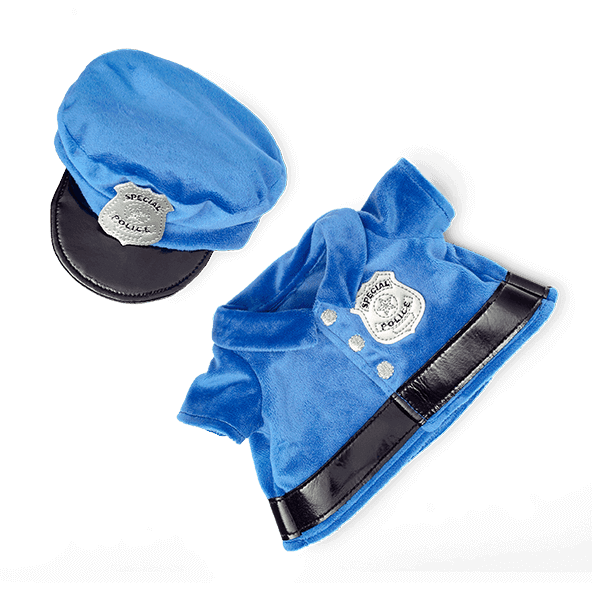 Scentsy Police Officer Uniform for Apollo the German Shepherd Scentsy Buddy – Police officers like to be in the latest fashion trends, too! A buttoned-up, blue officer uniform dons a polished, black belt and distinguished, emblem hat.